Full versions of the journals can be purchased in PDF format. 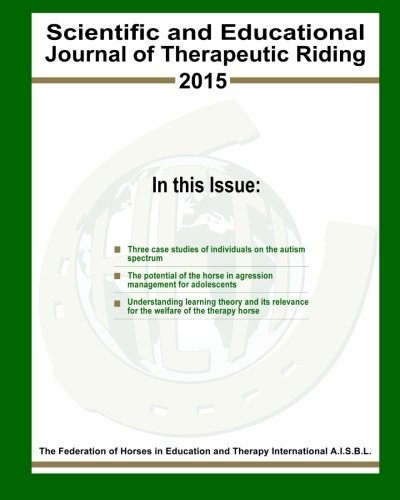 Does Hippotherapy Increase Axial Control of the Trunk as a Treatment for Individuals with CP? Are the Results Linked Closely to the Frequency of the Sessions? 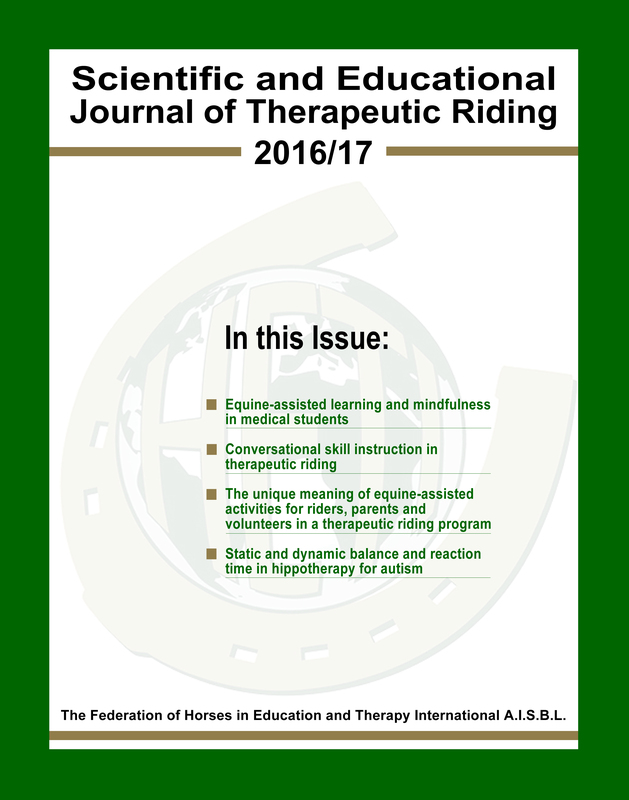 Can Psychiatric Riding Therapy Increase the Effectiveness of Treatment of Depression? What is the State of Hippotherapy Research and Where Should We Go from Here? Can a Short Course in Adapted Vaulting have a Positivve Effect on Physically and Mentally Challenged Children? Can a Short Course in Adapted Vaulting Have a Positive Effect on Physically and Mentally Challenged Children?